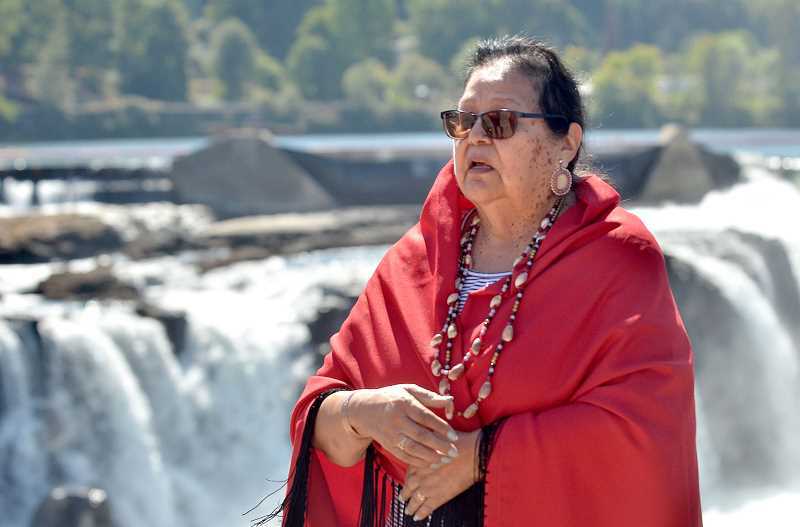 For decades, dating back even before the Confederated Tribes of Grand Ronde was restored as a federally recognized group in 1983, Cheryle Kennedy and other tribe members talked about returning to fish at the Willamette Falls. It was a tradition dating back thousands of years that had been ripped away — along with so much else — when the U.S. federal government seized land and established treaties in the 1800s. Restoration of their individual tribes wouldn't be complete without also reclaiming fishing rights at the falls. Though the tribe — a collective of 26 regional Native American bands — was restored in 1983, it would take more than 30 years for its fishing rights to be returned in 2016. 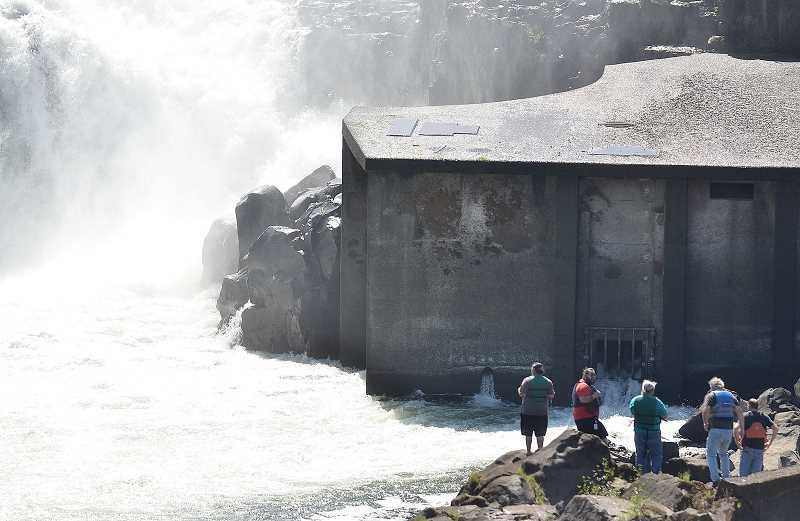 On Sept. 4, the tribe held a blessing ceremony at Willamette Falls to celebrate another milestone: the Oregon Department of State Lands' approval of a permit to construct a new fishing scaffold at the falls next to the Portland General Electric plant. "I was part of the team in our pre-restoration efforts," said Kennedy, who is chairwoman of the tribes. "I remember us — our leaders who are now gone — sitting late in the night, and we'd talk about these things. 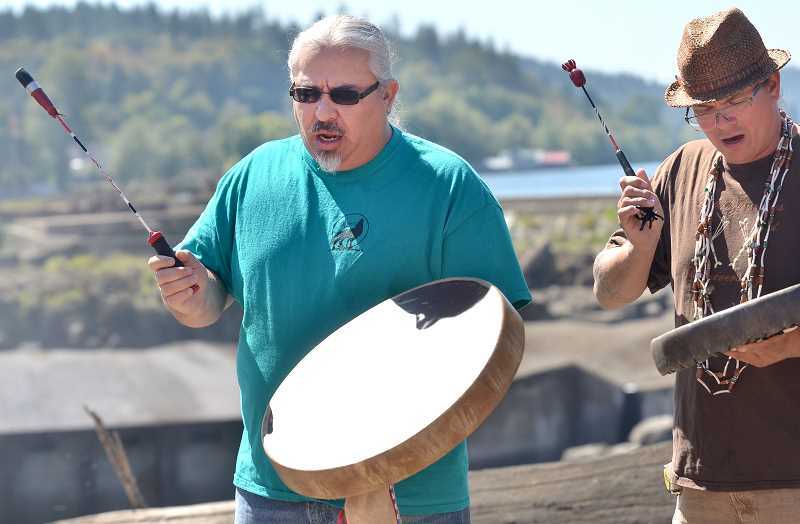 We'd talk about Willamette Falls and how (by) being restored as a federally recognized tribe, we would have access to fishing again — that we'd be able to celebrate with our people and invite others to come celebrate with us, to eat with us." Since 2016, in the absence of a scaffold, tribal fishers have been forced to balance on the rocks near the falls while dipping their nets into the water. "(With the scaffold) you have footing that is even and will hold you in not as precarious a way as the rocks," Kennedy said. "We did fish on the rocks and will continue to do that. But the platform is the more safe way." The use of scaffolds for fishing at the falls dates back the early 1800s, according to Kennedy. The Sept. 4 ceremony, then, was a powerful and emotional moment for Kennedy. "One of the things that is just so moving to me is, fish are our subsistence — eels, lamprey are our subsistence," she said. "So to be deprived of our very subsistence was a huge hardship for our people. Having the license approved for a scaffold at Willamette Falls is really a return of part of our lives. "For me, it is still a very emotional event." The goal, according to Grand Ronde spokesperson Sara Thompson, is to start construction as soon as possible. "To look into the future and know my grandchildren generations from now will be able to fish there, will be able to contribute in ways that were taught by the Creator on how we should live, that is an awesome thought," Kennedy said.